This Unum Health Insurance Company of America Review will discuss Unum Insurance Company, which provides benefit packages for business, as well as for individuals. It is one of the leading providers of benefits in the world and provides management services to help companies keep informed about changing and emerging trends. You can compare health insurance quotes for this company and others in your area by filling in your zip code on this page. Unum has corporate offices throughout the United States and in the United Kingdom. Unum focuses on putting their people first, whether it is their employees or their customers. The vision statement of the company focuses on marketplace success as well as their responsibility to act with accountability, commitment, and integrity. Unum also follows a code of conduct that guides not only employees but certain executives as well. This conduct code guides employees on how to stand for the principles of the company and how to use the available resources to deal with any ethical issues that may come up. 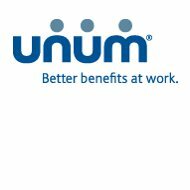 Unum monitors its program through employee performance reviews, work environment, and other mechanisms. Unum believes that their brand is their promise. Their brand includes being forward thinking and being proactive rather than reactive. Unum is caring about the needs of their customers and helping people. Their brand is quietly confident which means that they do their jobs expertly but are not arrogant about it. Part of Unum’s brand is that they are passionate. They have love, energy, and zeal for their company, services, and products. Unum is also responsible and cares about making the right decisions for their communities, customers, and their company. To find out more about Unum, check out http://www.iii.org. Unum offers insurance products to both employers and employees. If you have a small or mid-size business, Unum can help you put together a benefits package for your employees that includes disability, supplemental critical illness, and long-term care benefits. Offering benefits to your employees can help recruit talented employees as well as retain them. The benefits are flexible and can be paid by the employer or by the employee, or both. As an employee, Unum offers benefits to you as well. These benefits can supplement the ones already offered to you by your employer and can help you financially should something unexpected occur. You may already have access to some of these products through your employer. A Unum agent can help you determine what types of additional insurance you need. Filing a claim with Unum is fairly easy and the benefit specialists will help you get through the process as quickly as possible. You can file the claim conveniently online any time of the day. You can also call toll free at 866-679-3054, mail the claim, or fax it to Unum. Unum offers many ways to join their company. You may be an experienced professional, a recent college graduate, or a college student. You can also find a clerical or administrative position with the company. You can search for current openings and submit your resume online through Unum’s website. To search for health insurance and compare health insurance quotes all you need to do is enter your zip code.